We need a stronger, tougher Asean to deal with China, to make it bargain in good faith and treat its neighbors with civility. A vigorous national defense cannot exist without strong, security alliances with other nations. It may not get the politicians their much-coveted TV sound bites, but away from the limelight perhaps backdoor diplomacy—in the context of the tensions in the South China Sea—could produce more significant results than official statements and posturing. Backdoor diplomacy is basically conducting politics out of the public view and would be crucial in the territorial disputes between the Philippines and China, where neither nation is willing to admit fault or wants to be seen as backing down or as being inferior to the other. The failure of the Association of Southeast Asian Nations (Asean) to come up with a joint communiqué on issues in the South China Sea at the end of their meeting in Cambodia last week makes backdoor diplomacy all the more crucial. Indeed, the Asean missed a wonderful opportunity to show the world that it is not just some motley group that gets together for junkets. It was the first time in 45 years that the Foreign Ministers’ Meeting of the Asean was not concluded with the release of a communiqué showcasing common ground. A belated joint statement that will reportedly be issued by the Asean to save face doesn’t offer much hope. Asean must show stronger solidarity on the Spratlys issue, since four of the six claimants over the oil-rich Spratlys are Asean members. Asean is a big market for China and pressure from a major trading partner could make China more reasonable, responsible and amenable to finding mutually acceptable solutions to the Spratlys dispute. Indeed, China seems to be taking its cue from the passive and rather wimpy Asean responses to its aggression. To recall, no joint action was taken by the Asean when China occupied the Philippine-claimed Mischief Reef in 1995, and this only encouraged more incursions and the building of permanent structures in the Spratlys. Individual Asean members must realize that they can’t act on threats only when it directly concerns their own countries. They need to work together, to speak and act as one to project more strength especially when dealing with a superpower like China. The Philippines has the 1951 Mutual Defense Treaty with the US, for instance. As a sovereign nation we have an inherent right to use this treaty in the interest of peace and security. Otherwise, why have a treaty at all when we are not prepared to invoke and honor it.Let us not shut our doors on parallel tracks of diplomacy, like those provided by the constant and stable trade relations between Chinese and Filipino business groups. After all, the Philippines has a $60-billion two-way trade target with China. China is the country’s third-largest trading partner and the Philippines is sixth among China’s export markets. China is also a significant donor to the Philippines. In fact, China backed the P5.2-billion Metropolitan Waterworks and Sewerage System’s Angat Water Utilization and Aquedact Improvement Project at the La Mesa Dam Portal in Quezon City. The project is meant to improve water delivery to 21 million residents of Manila and surrounding provinces. It was funded through the Preferential Buyer’s Credit of China Export-Import Bank and its main contractor is the China International Water and Electric Co. Some may object to China’s “checkbook diplomacy,” which may be a kind of backdoor diplomacy too, but we don’t see the harm if such longstanding financial aid could enhance our bilateral ties, for as long as the money given is accounted for transparently, spent as it should on development projects, and doesn’t line the pockets of corrupt government officials. Our point again is that when tensions among nations are at their height, the more we need to strengthen connections, the more we need to find means and build bridges for maintaining ties and backdoor diplomacy. We may just find that we have many more things in common with China than differences. On July 20, the Association of Southeast Asian Nations (ASEAN) replaced an embarrassing silence with a six-point consensus. Cambodian Foreign Minister Hor Namhong announced the six points in Phnom Penh. Earlier in the week, as the chair of an ASEAN foreign ministers’ meeting, he had failed to convey the usual joint statement summarizing its deliberations. Instead he said nothing at all. The issue was whether and how to mention the recent standoff between China and the Philippines over Scarborough Shoal in the South China Sea. Philippine Foreign Minister Albert del Rosario blamed Hor Namhong for a fit of pique in canceling the entire statement. Hor Namhong blamed del Rosario for insisting on citing the standoff. For whatever reason, the Cambodian minister had been, to quote an Indonesian saying, “silent in a thousand languages” – mutely shouting to the world that ASEAN could not even agree to disagree. To ASEAN’s rescue came Marty Natalegawa, the foreign minister of by far its largest member, Indonesia. It took him just two days of emergency shuttle diplomacy to hammer out the six points of agreement that Hor Namhong would read out on behalf of himself and his fellow ministers regarding the South China Sea. The six points articulated by Hor Namhong in the Khmer language and variously reported in English translation can be summarized as a reaffirmation of the ministers’ desire: to observe the Declaration on Conduct of the Parties in the South China Sea and follow the guidelines for its implementation; to work toward an early adoption of a Code of Conduct (that would upgrade the Declaration); to exercise self-restraint and avoid threatening or using force; and to uphold the peaceful settlement of disputes in keeping with universally recognized principles of international law, including the United Nations Convention on the Law of the Sea (UNCLOS). China’s claim to sovereignty over almost the entire South China Sea places it squarely at odds with four other claimants inside ASEAN – Brunei, Malaysia, the Philippines, and Vietnam. To the extent that Beijing wants to negotiate its self-described “indisputable” claim at all, it wants to do so only bilaterally with each rival, one on one. The splits within ASEAN over the South China Sea have been papered over not resolved. Natalegawa was able to elicit agreement on the six points and to persuade his Cambodian colleague to read them out at a press conference for the world to hear. But the Indonesian foreign minister could not stop Hor Namhong from using that same occasion to claim innocence and hurl guilt. As a multilateral actor, ASEAN has been pressured relentlessly by China to say nothing about these disputes. When Hor Namhong did exactly that at the end of the foreign ministers’ meeting, he was accused of splitting ASEAN on Beijing’s behalf. But rather than strike a conciliatory note at his press conference, the Cambodian blamed the failure to agree on a communique on “two countries”. So much for reconciliation. Natalegawa must now have mixed feelings: glad he could elicit a statement but worried about what could happen back in Phnom Penh this November when Cambodia will chair the ASEAN summit in the presence of a dozen or more heads of state from Asian and other countries. The six points did not mention the confrontation at Scarborough Shoal. That was a necessary compromise, made for the sake of consensus. But the omission could be taken by Cambodia and others in ASEAN as a precedent worth keeping: not even to allude to instances of bad conduct in which China is involved. Refusing to see, hear, and speak no evil may buy time for a solution to be reached, but it could also merely prolong the reaching. More encouraging is something the six points do mention: the need to act in conformity with international law, including the provisions of UNCLOS. The Law of the Sea prescribes in detail the lines that can be drawn around rocks and islands to distinguish territorial seas from extended economic zones, respectively. The law also defines the rights that are allowed in these jurisdictions. But UNCLOS does not answer the question of sovereignty – whose lines and rights they are – and China has explicitly rejected the dispute-settling provisions that the law does contain. Nevertheless, the inclusion of recourse to UNCLOS among the six points is encouraging as a reminder to all of the claimants that they need to specify, by latitude and longitude, exactly where “their” lines lie. In this legal context, ambiguity is the enemy of progress, and of all the claims, the most ambiguous is China’s self-assigned U-shaped nine-dash line. That “tongue” spans nearly the full width of the South China Sea while running the length of its waters nearly to the shores of Indonesia’s Natuna islands. One action that ASEAN could take is to ask the International Tribunal on the Law of the Sea for an opinion – not a settlement, not a binding judgment, and not about sovereignty, just an opinion about China’s line: is the U-shaped line compatible with the text of UNCLOS, or not? Which of the land features encompassed by the line are rocks, and which ones are islands? Can an EEZ be drawn around a rock? The tribunal could decline to answer these questions, but that silence of a thousand tongues would embarrass the institution as unwilling or unable to uphold the words that are the basis of its existence. If the court did agree to issue an opinion, and the answer were damaging to China’s claim – the likeliest outcome – Beijing could still stick out its “tongue,” but at the cost of confirming its image as a rogue. Nor would China alone be affected. The specification of rocks versus islands, and the nautical mileage allowable around each feature, would impact the claims of Southeast Asian states as well. If Cambodia were to prevent ASEAN from asking the tribunal for such an opinion, one or more ASEAN states could still do so. If it were known in advance that the tribunal as such would not answer, the questions could still be asked of a single judge. If it were clear that the judge could only answer in a personal capacity, even those unofficial opinions might help nudge the disputants away from demagoguery toward cartography – toward a shared understanding of what is in dispute, exactly where it lies, and what might be done about it, including joint exploration in contested areas. Finally, Foreign Minister Natalegawa’s mission to rescue ASEAN’s face underscores the group’s need to speak in one voice, constructively at the right time and consistently with the passage of time. If the “ASEAN way” of consensus tends to limit what the group can do to the willingness of its least willing member, the “ASEAN way” of leadership from year to year tends to privilege the likes and dislikes of whichever member happens to be in the chair. An institutional solution would involve upgrading the ASEAN secretariat, enlarging its budget and authorizing its secretary general to be less of a secretary and more of a general. Incredibly, with only three years to go until the planned declaration of an ASEAN Community in 2015, each member state still contributes in annual dues what the poorest among them, Laos, can afford to pay. In the early years of the organization, it made sense to enshrine national sovereignty in the “ASEAN way”. Today, the group needs a course correction toward greater coherence as a regional actor. Institutional reform is unlikely for the time being. That leaves the political solution: that ASEAN be led quietly and ably “from behind” by a member state with a sense of responsibility, the asset of credibility, and a preference for persuasion over confrontation. Whether that country is Indonesia or not, its foreign minister has at least shown his Southeast Asian colleagues and the outside world that ASEAN cannot lead without being led. 1. Prak Chan Thul and Olivia Rondonuwu, ASEAN urges South China Sea pact but consensus elusive, Reuters, 20 July 2012. 2. China to deploy military garrison in South China Sea, Xinhua, 20 July 2012. Indonesian Foreign Minister Marty Natalegawa has not been flying to ASEAN capitals just to try to put together a statement, or the joint communique that should have been issued at the end of the ASEAN Ministerial Meeting in Phnom Penh earlier this month. He is trying to put the ASEAN Humpty Dumpty back together again. And everyone – not least the Philippines, Vietnam, ASEAN chair Cambodia, and all other member countries, but even China, the United States, ASEAN’s other dialogue partners, and all the king’s horses and all the king’s men, would do well to come with their glue and adhesives and participate in this effort. At stake is much more than the few sentences that would reflect that ASEAN did discuss and come to agreement on the recent tensions between members states Vietnam and the Philippines on one hand, and the group’s dialogue partner China on the other. Although certainly, one is confounded that the chair could not muster the wisdom and perseverance to forge even a minimalist consensus, perhaps – goes the speculation – because of promises made to a non-member of the ASEAN family. Like any family, there is bickering among siblings in ASEAN. Everyone knows that ASEAN countries have diverse perspectives not just on this but on many other subjects. At the risk of speculation, does it come as a surprise that Indonesia, rather than the ASEAN Secretary General Surin Pitsuwan who is from Thailand, is doing the troubleshooting this time? It shouldn’t, because Thailand and Cambodia still have to repair frayed relations themselves, with some troops still facing off in the Preah Vihear temple where border tensions have flared since 2008. Other bilateral irritants exist among member states, but are downplayed whenever ASEAN meetings take place precisely because ASEAN itself is more important than the sum of its parts, and certainly more important than any single member. Therefore for the last 45 years, the ASEAN joint communique would be issued at the end of a meeting, even if it is expected to reflect only the lowest common denominator, and even if only as a symbolic affirmation of shared strategic interests. By breaking with what had thus far been consistent ASEAN practice of issuing a communique, the message is that perhaps some members don’t recognize that those shared strategic interests still exist. If so, what is the purpose of ASEAN or what is the purpose of their being in ASEAN? I would argue that the most important strategic interest that ASEAN must pursue and which has underpinned its existence all these years is the need for the small and medium powers that comprise Southeast Asia to collectively preserve their autonomy against any great power that would dominate the region. This is why Cambodia’s perceived weakness in the face of Chinese pressure and enticements is so important, as it has hurt ASEAN’s most important aspiration. For the same reason, and this is important for the Aquino government to understand – the Philippines’ perceived excessive and unabashed enthusiasm for the United States to intervene in a resolution of the territorial disputes, however understandable from the national interest point of view, also unnerves many in ASEAN, even those who quietly support a robust US presence. After all, the US is the other elephant in the room, and what is provoking China’s assertiveness is precisely Beijing’s fear of a US ‘rebalancing’ in Asia being directed against it, and ASEAN becoming Washington’s co-conspirator. If ASEAN cannot speak with one voice, as we saw in Phnom Penh, it not only undermines ASEAN’s so-called “centrality” but it delegitimizes ASEAN’s role as a collective actor in dealing with other countries, especially as it prepares to negotiate with China on a code of conduct on the South China Sea. In the context of China’s rapid military modernization and growing assertiveness, these upcoming negotiations should be a critical opportunity for ASEAN to pursue conflict prevention measures that could spell the difference between peace and armed conflict in its maritime domain. Such conflict prevention measures may involve a moratorium on further expansion of military presence, military exclusion zones around disputed land features, agreements on how to deal with fishing activities in the overlapping claims, hotlines between leaders, among others. These, more than resolution of the ownership issue over Bajo de Masinloc as the Philippines prefers, are the urgent tasks ahead of ASEAN. So urgent that, if ASEAN’s non-claimants will feel burdened by what these difficult negotiations may entail, then the claimants (Philippines, Vietnam, Malaysia and Brunei) at the very least, with the support of ASEAN members who do feel they are stakeholders (possibly Indonesia and Singapore), should consider establishing a separate framework – preferably under ASEAN auspices – to pursue the code of conduct talks with China. As the dust settles from an Asean meeting last week marked by unprecedented rancour over territorial disputes in the South China Sea, the focus of those pondering the future of the grouping is settling on two words: Hun Sen. In November, the Cambodian prime minister will host his counterparts from Southeast Asia and beyond – including President Hu Jintao and US President Barack Obama – for the East Asia Summit. And after the historic failure of last week’s sessions to produce a communique amid a bitter struggle over its role in the disputes, some regional envoys are wondering whether Hun Sen will sow further discord. Last week’s breakdown in the Association of Southeast Asian Nations – a body that is supposed to cherish unity and consensus – saw Hun Sen’s long-serving foreign minister, Hor Namhong, accused by rival diplomats of “doing China’s bidding” in shattering the chances of a common position on the South China Sea. 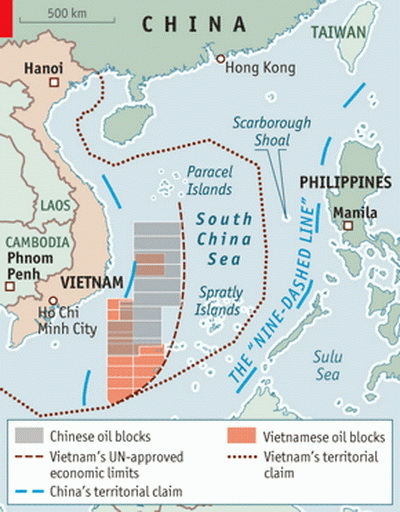 The atmosphere risks poisoning upcoming talks between China and Asean on a long-awaited code of conduct to better control intensifying tensions in the South China Sea – which is rich in oil and gas and one of the world’s most crucial waterways. Having failed in a last-ditch attempt to secure a communique last Friday, Indonesian Foreign Minister Marty Natalegawa – representing Southeast Asia’s largest nation – was this week shuttling between Hanoi, Phnom Penh and Manila to salvage something from a week of tension. A hastily-arranged common statement issued last night in place of the failed communique- backed by Cambodian warnings that two unnamed countries were to blame – appears to have only highlighted the divisions now exposed across the region, analysts believe. Getting more co-operation from Hun Sen will be crucial if internal Asean tensions to be eased as Cambodia serves out its year as the grouping’s chair. Having held power, one way or another, through Cambodia’s transition to a democracy since 1985, Hun Sen is sometimes described as Asia’s last strongman. By turns prickly, contrarian and difficult to predict, he’s never been accused of being a statesman, yet no one underestimates his shrewdness or cunning. An accomplished chess player in private, Hun Sen is also known as a master player of bigger powers, constantly keeping his neighbours slightly off balance. In recent years, Beijing has become Cambodia’s biggest trade, aid and military partner, outspending the US by a factor of 10. The opulent Peace Palace where Hun Sen met the Asean foreign ministers – one of the biggest buildings in downtown Phnom Penh – is among the many symbols of Chinese loans and investments now visible in Cambodia. Yet Hun Sen has also successfully buttressed relations with Washington, and US Secretary of State Hillary Rodham Clinton is promising greater aid commitments. The state of his ties with his old patron – Hanoi – is murkier, however. A deputy regimental commander in the Khmer Rouge, who lost an eye on the day the ultra-Maoists took Phnom Penh in April 1975 to launch a genocidal experiment in extreme Maoism, Hun Sen fled its purges two years later by crossing into Vietnam. Hanoi trained him and installed him in Cambodia’s government after their invasion in late 1978 to drive their former fraternal allies from power. At 27, Hun Sen was the world’s youngest foreign minister. All these years later, he is now the longest-serving leader in Southeast Asia. In April, he bristled at suggestions from foreign scholars that he was now in China’s pocket. “What I hate and am fed up with is talk about Cambodia working China and must be under some kind of influence. That is completely wrong,” he said. Several foreign analysts and scholars, however, have noted that China’s pre-meeting rhetoric and intense lobbying of Cambodia suggested that Beijing was determined to undermine Asean unity. Certainly, statements from officials and the state press in recent days do little to shift that view. As diplomats staged a last-ditch bid to avert the failure to produce a communique last Friday, Foreign Ministry spokesman Liu Weimin spoke of “productive” talks in Phnom Penh. He said “China’s views and position on many issues have won the appreciation and support of many participating countries”. Commentaries in the state press this week have been even more biting in celebration, however. Claiming a victory, Global Times attacked Manila and Hanoi for “disgracing themselves” in their push to raise concerns about Chinese actions to assert sovereignty with their claimed exclusive economic zones, dismissing them as “troublemakers”. “The country [China] used to be overwhelmingly worried about the consequences of insisting on its interests. Now it will not become worse of it,” said an editorial in Global Times, which is published by People’s Daily, China’s Communist Party’s main mouthpiece. While the state press attacks hone in on Vietnam and the Philippines, various accounts of the closed-door talks among foreign ministers suggest strong, if less specific, concerns about the need for a robust message on the South China Sea were also voiced by Indonesia, Singapore, Malaysia and, eventually, Thailand. But Hor Namhong repeatedly warned against specific references to nations’ continental shelves, economic zones or the disputed Scarborough Shoal, known as Huangyan Island to Beijing. He repeatedly raised the prospect of a lack of consensus scuttling the communique. Amid Hor Namhong’s repeated warnings, emotions clearly started to run high. According to one account, Philippine Foreign Secretary Albert Del Rosario even quoted a famous line from German pastor Martin Niemoller on the perils of doing nothing. As the impasse dragged into Friday, Indonesia’s Natalegawa staged an intense, last-ditch attempt to secure a communique, even hauling the Singaporean delegation back from the airport for support. His efforts reflected the broader desire of Indonesia – Asean’s most populous country by far, with more than 240 million people – to strengthen Asean’s involvement in pressing regional issues. In Phnom Penh last week, after at least 18 drafts and compromises from Vietnam and the Philippines, Hor Namhong still didn’t budge. The last hopes were dashed when the Cambodian minister picked up his papers and stormed out of the room. Surveying the damage, former Asean secretary-general Rodolfo Severino said he did not want to apportion blame for an event he described as a “bad thing”. When asked about reports that China was determined to destroy any Asean unity over the South China Sea, he noted Beijing’s long-standing position of wanting to settle specific territorial disputes in one-to-one talks with individual claimants. Severino added: “If China has allowed itself to be perceived that way then it may have been counter-productive. It will emphasise the need for Asean to stick together, not to mention other powers. Severino did say, however, that Asean had faced difficult and tense moments during its 45-year history, including discussions over human rights in the early 1990s and its reaction to Vietnam’s invasion of Cambodia – then both non-members – in 1978. The spirit of compromise and consensus remained strong, he said. In that regard, he said that while it was possible that talks about a formal code of conduct could be buffeted by the breakdown, it might also serve to “concentrate minds on the need to avoid armed conflict. All is not lost … and there is still plenty of room for cool heads to prevail”. Another lingering question will be the relationship between Cambodia and Vietnam. Ties, particularly with Vietnamese military figures, are believed to have remained deep and strong, even as Hun Sen has intensified ties with China. Does the recent breakdown over the communique signal a complete breakdown in Hanoi-Phnom Penh ties? Hun Sen, after all, must know that the South China Sea dispute has long been among the hottest issues for the leadership of Vietnam’s Communist Party, a cause hard-wired into their internal propaganda script. Then there is the fact that, despite lingering tensions with the ethnic Khmer majority, more than 1 million Vietnamese are estimated to be living among the 15 million people in Cambodia. “The Vietnamese must be apoplectic with Hun Sen right now … that he has put China’s relationship before Vietnam’s to such an extent,” said Ian Storey, a Singapore-based scholar of Asia’s strategic issues. There are, after all, few more sensitive and strategic relationships in the region.